Feeling exhausted after this week? Yeah, me too. So I’m gonna hold off on addressing the country’s events for now (but trust me, it’s coming) and just blog about something simple and random – coloring. I love to color. Maybe it’s because a big part of me is still 5 years-old, but I was super excited once I saw how artists were releasing coloring books specifically for adults. And for the past year, coloring has been one of my favorite ways to deal with stress and anxiety. 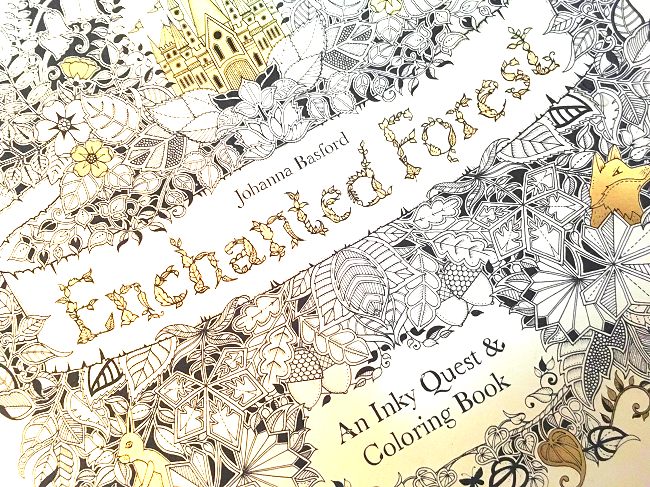 Out of all the adult coloring books available, my favorite collection is from Johanna Basford. 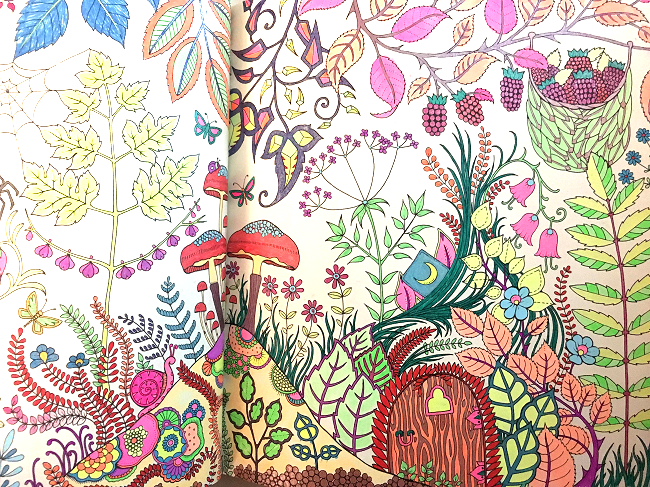 Her whimsical designs with different themes – including gardens, forests, and oceans – are stunning, and I’ve spent hours filling in Enchanted Forest page by page. …And some are crazy intricate. I prefer using gel pens, because it takes me back to the simpler days when a new set of Jelly Rolls made me feel like I was one of the cool kids. Also, I really like the bold colors and how you can create a “watercolor” effect with a bit of smudging. But if you prefer color pencils, you can create some gorgeous designs as well. Treat yourself to some childlike fun and chillax a bit. We’ll reconvene once the stress of the last few days dies down.